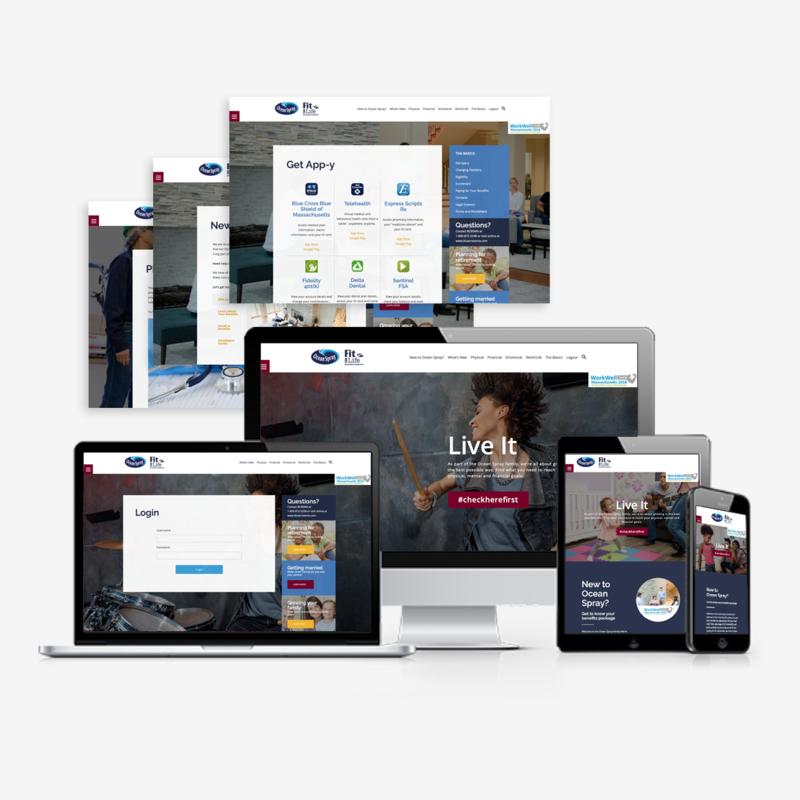 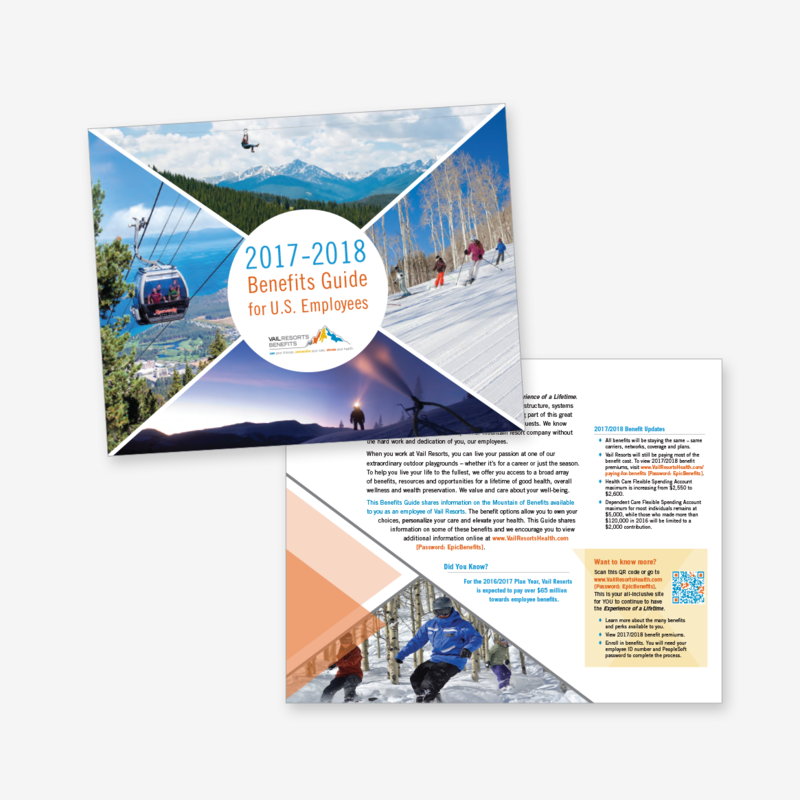 Update the design of the benefits enrollment guide while keeping true to the corporate branding guidelines. 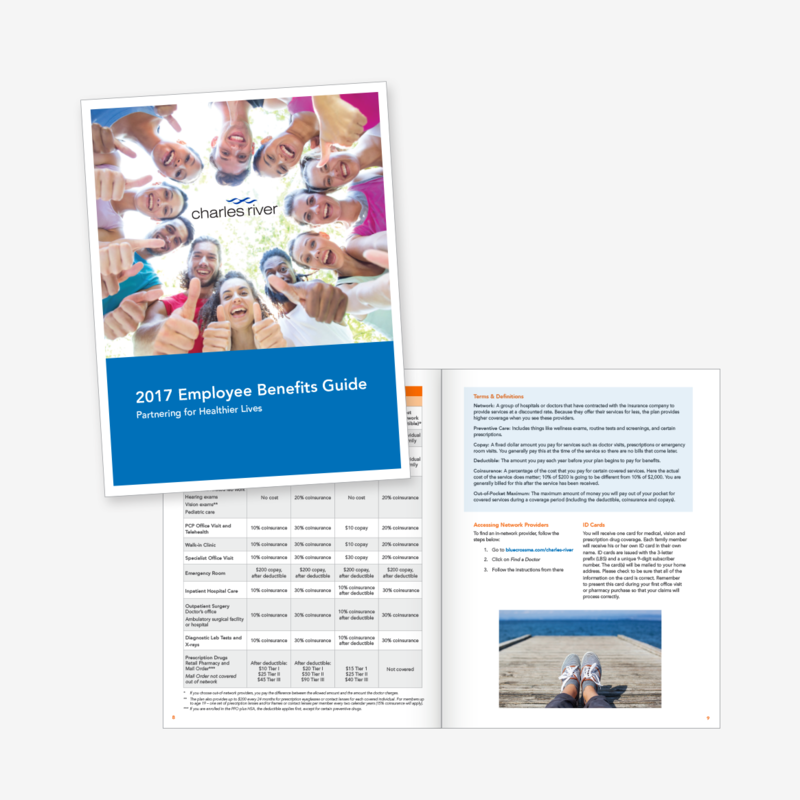 Promote ALEX, the benefit advisor project, and provide both an Open Enrollment Benefits Guide that will provide specific information relating to Open Enrollment and a Benefits Guide that can be used throughout the year for prospective employees, new hires and as a reference tool for existing employees. 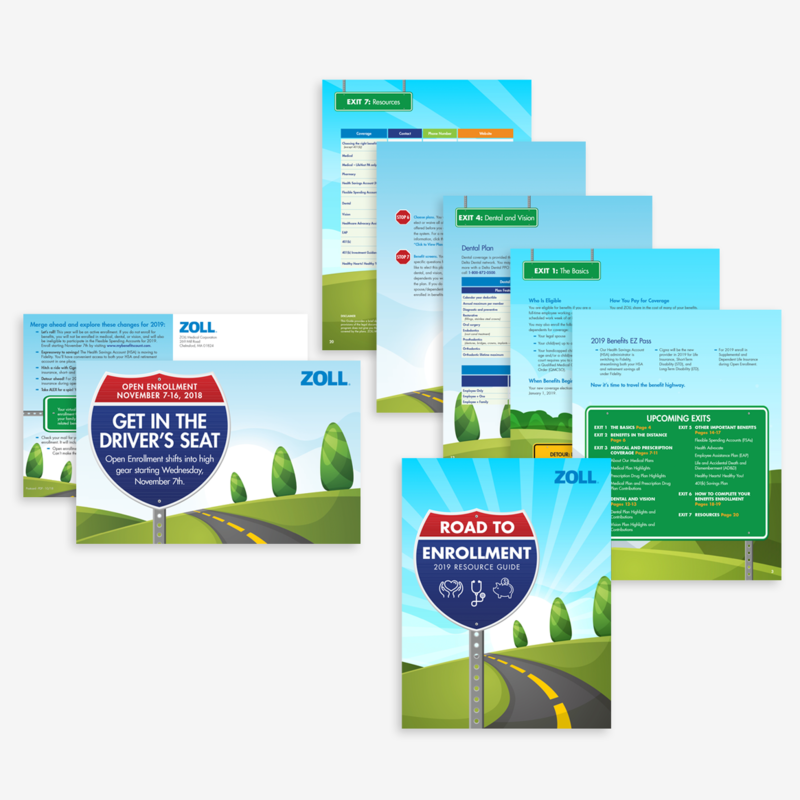 Finalize the Open Enrollment Benefits Guide, weaving ALEX blobbies throughout the pages. 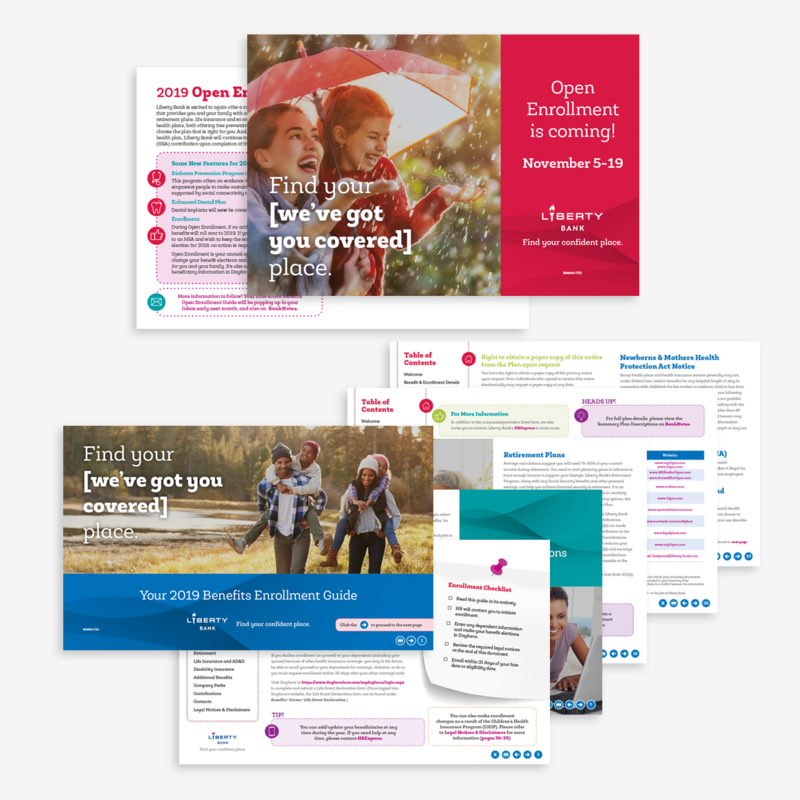 Create and mail a pre-enrollment postcard to employees communicating the Open Enrollment period, along with new features and highlights for 2019. 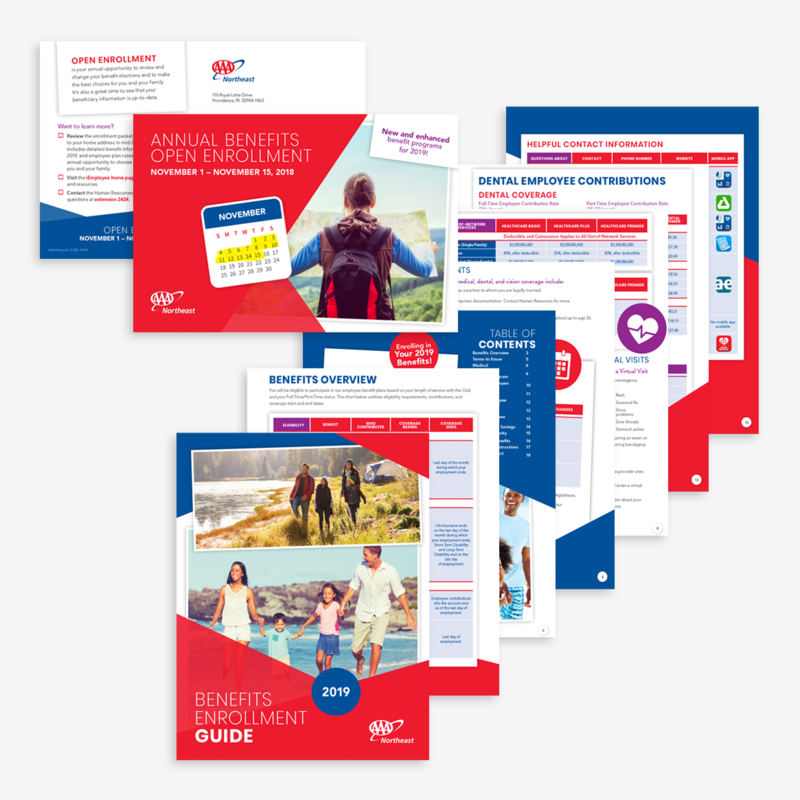 Working with the completed Open Enrollment Benefits Guide, remove Open Enrollment references and replace the CEO message with a Welcome message addressed to new hires for a Benefits Guide that can be used for potential employees, new hires, as well as a yearlong resource for existing employees.